In 2015, Chad was featured in Business Insider as one of “20 incredibly impressive kids graduating from high school this year”. Chad Lilley appeared on Show 278, recorded in October 2013, at age 17. Chad Lilley (saxophone), 18, is from Olney, Maryland, where he is a recent graduate of DeMatha Catholic High School. He is currently pursuing a BM in saxophone performance under the direction of Dr. Timothy McAllister at the University of Michigan’s School of Music Theatre and Dance. Chad has garnered several top awards at both the national and international level, including first prizes at the “President’s Own” United States Marine Band Concerto Competition, first Prize at the Bi-Annual NASA (North American Saxophone Alliance) Competition, and Second Prize at the 2013 MTNA National senior woodwinds competition. 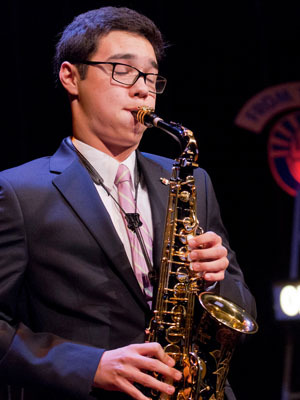 In the summer of 2014, Mr. Lilley was the first saxophonist chosen to tour with Carnegie Hall’s National Youth Orchestra under the direction of Grammy award winning conductor, David Robertson, where he joined the Orchestra as a full time saxophonist on their Coast-to-Coast tour performing at such venues as Carnegie Hall, Chicago’s Millennium Stage, Tanglewood’s Seiji Ozawa Hall, and The Walt Disney Concert Hall, in LA, among others. Chad was recently named one of 20 National YoungArts finalists in music, which provided the opportunity to perform in concert in South Beach, FL, at the New World Center. 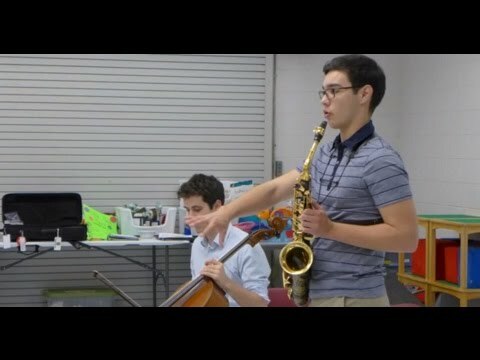 Through YoungArts, he is also a recipient of a 2015 Presidential Scholarship in the Arts, our Nation’s “highest honor bestowed upon graduating seniors,” where he put on a performance under the direction of Debbie Allen at the Kennedy Center, in Washington DC. Outside of music, Chad enjoys rowing Crew, and running.